David Lowenstein directs the production set for April 6-8, and 13-15. 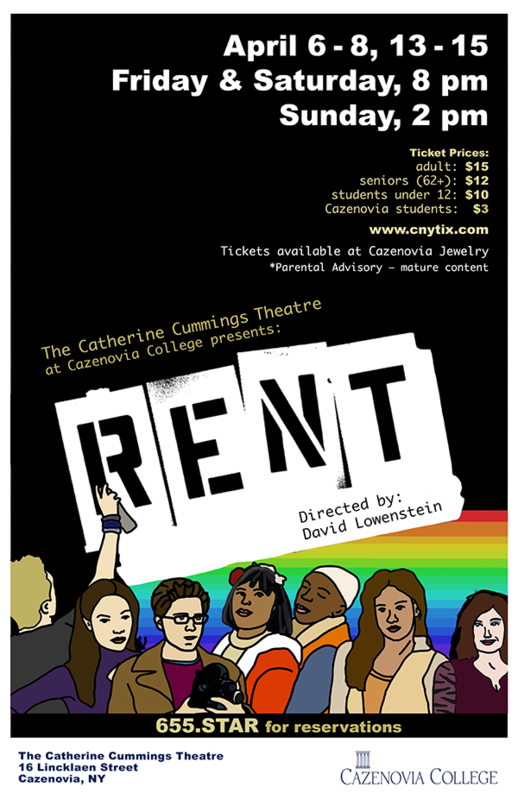 Cazenovia College will present RENT as its spring production. This rock musical is a modern take on the iconic opera, La Bohème, by Giacomo Puccini, and trades tuberculosis for HIV/AIDS, and 1890s Paris for New York's East Village in the early 1990s. The music, lyrics, and book are by Jonathan Larson. 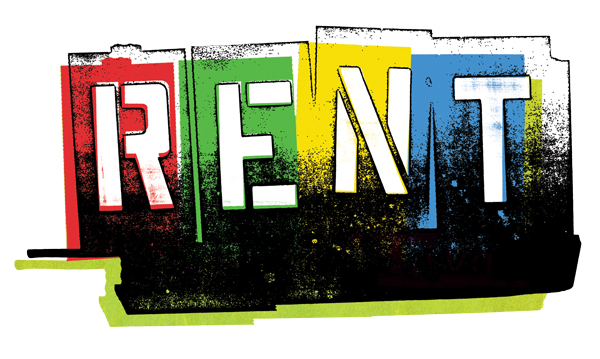 RENT has won tremendous acclaim including the Pulitzer Prize for Drama; Tonys for Best Musical, Best Book, and Best Original Score; and the Drama Desk Award for Outstanding Musical. Friday, April 6, at 8:00 p.m.
Saturday, April 7, at 8:00 p.m.
Sunday, April 8, at 2:00 p.m.
Friday, April 13, at 8:00 p.m.
Saturday, April 14, at 8:00 p.m. Doors open 1/2 hour prior to show time, and tickets are $15 Adults; $12 Seniors 62+; $10 ages 12 and under; $3 Caz College students with ID. They are available at Cnytix.com, at Cazenovia Jewelry in Cazenovia, and by reserving tickets at 315.655.STAR.